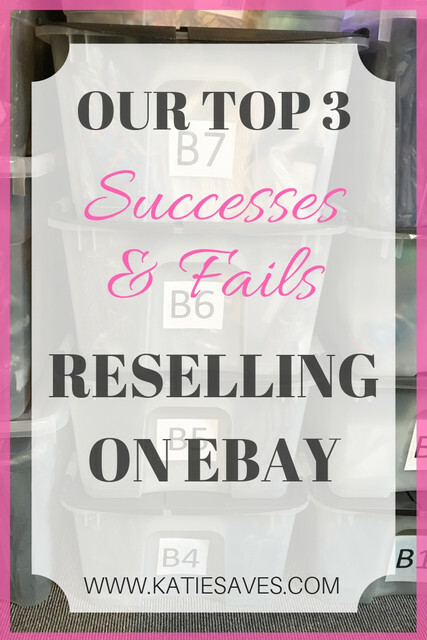 I’m currently trying to reboot our eBay selling business – it’s ticking along, but we haven’t really listed anything or sourced in months and we haven’t really tweaked the active listings. We regularly reduce prices, to ensure sales keep coming in and that we don’t hold old stock for too long (though I think there’s plenty of stuff that we need to unlist and just get shot of now) but that’s about it. The hours we put in are few and far between to be completely honest. So in a bid to renew my motivation I’ve had a good sort out of the listed stock and implemented a more efficient stock storage system (no more trashing the eBay room looking for something that’s sold). I’ve segregated the stock that needs to be listed and I’ve brought our profit spreadsheet back up to date (it was last updated in August…whoops). Whilst updating the spreadsheet, I thought it’d be interesting to see what our top sales have been over the last 16 months and that led me to the idea for this blog post – what have been our biggest eBay successes? Not necessarily the biggest sold prices – but the biggest and best surprises we’ve had on our eBay reselling journey so far. And to balance things out, our biggest ebay fails – because no one gets it right all of the time do they? We bought a random box from an office clearance auction for about £18. We didn’t really know what was in it but bid on it because we could see it had a number of thick brown paper rolls sticking out and reams of copier paper. We get through a lot of brown paper selling shoes and we print our own labels, so we thought we’d grab a bargain and stock up on packaging supplies. We didn’t buy this lot with the intent of reselling anything but after we got it home and unpacked it we found there was a lot of random crap in the box – notebooks, a desk clock, binders, parker pens etc…. and then the crackers. A valuable pencil and a valuable pencil sharpener. Did you even know there were such things? We listed them both and they sold within a couple of weeks. The sharpener for £47 and the pencil for £79.99(!!!). This is probably my favourite ever find (well credit where credit is due – Luke’s best find) because we literally didn’t buy the box to resell. We made at least £90 profit from that box (we sold a couple of ink cartridges and smaller value items too) and stocked up on enough brown paper and copier paper to last us ages – we’ve still got plenty of unopened brown paper rolls now. Another time we took a punt on a random box was when we purchased a box of clothes for £11 – we had no idea what was in there, it just looked like quite a big box so we thought even if it was crap, we’d be getting a lot of items for our money so it was worth the risk. This box was surprisingly good and surprisingly bad in equal measures. I’m pretty certain there was used underwear in it (I didn’t inspect it too closely) but they was also a coat in there with the tags on. I hadn’t heard of the brand and there wasn’t much to go on in sold listings, but I googled it and it seemed like a pretty decent find so I tried my luck and listed it at £150 or best offer… we accepted £130 the morning after – so my guess it we undersold it but still – £130!! Excluding the profit from the other items in the box, we made over £100 from that one coat after costs and fees. I touched on this in my Beginners Guide To Reselling On Ebay post. Our very first foray into reselling was a load of miniature drones which we paid £97.92 for. It was a big, fat, massive fail. None of them worked. Not the best start to reselling. We made about £20 back selling off some of the parts as spares, but the majority of it went to the tip. Lesson learnt. I take full responsibility for this, it was completely my idea…. and though I’m putting it on the list as a fail, I still have hope that we’ll make money on these overall. There was a DVD clearance auction and job lots of 25 DVDs… they were going for pennies so we placed bids on loads of lots. Trouble is we won them all and ended up with 2000(!!!) DVDs. We paid £190 for them so about 9p a DVD… which is why I still stand firm that we will make money! However, I just didn’t anticipate the sheer amount of work that would need to go into selling such a large quantity. My poor MIL went and collected them for us, barely fitting them in her massive estate and they completely took over our living room for a few weeks. We first had the monumental task of sorting them into alphabetical order and checking that the DVDs were actually in the cases. Then we had to figure out a sales strategy. We’ve to date probably sold about 200 of them and then decided that we needed our house back so took them all to our inlaws factory storage unit where they have stayed ever since. Oops. We’ve made about £70 so far… and I’m hoping that when I eventually deal with them, I’ll offload them as a job lot. Another way that we source items to sell is by searching ‘bundle’ and ‘job lot’ on ebay then filtering the results by distance. As these lots are likely to be local pick up only, they often don’t attract much in the way of bids. We bought a job lot of random items for £30. From the pictures I thought we were getting a steal, there was 2 black bags of clothes, lots of baby items, guitar hero controllers, random bits of house decor and I could just about make out a paul smith wallet. Turns out we purchased this woman’s entire house load of crap. It was all horrendous. You couldn’t tell from the pictures but it was dirty. The black bags of clothes were all seriously dated – I can’t even pretend to call them vintage, they were just bad choices! And the Paul Smith wallet was full of mould and wasn’t salvageable. We took all of the bric-a-brac to the tip – it wasn’t even worth trying to clean up! But to try and salvage something I washed the black bags of clothes and optimistically listed them on ebay. To my complete bewilderment, some of these hideous pieces of clothing did sell (which is the beauty of ebay) and we made £40.39 after fees so a whopping £10.39 for effectively clearing this woman’s house for her! Hopefully this gives you a well rounded view of life as a reseller, you really do win some and lose some, the trick is to cut your losses and move on. Don’t obsess over mistakes – they are lessons to be learned. And don’t take too many risks – the chances of finding our stationery box are slim! 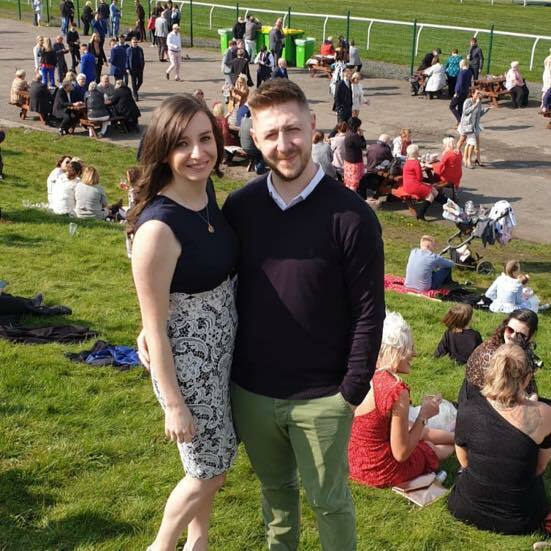 "Pros and Cons of Matched Betting – Is It Worth It?"